Mark’s Mailbag: What Am I Going to Eat for Halloween? 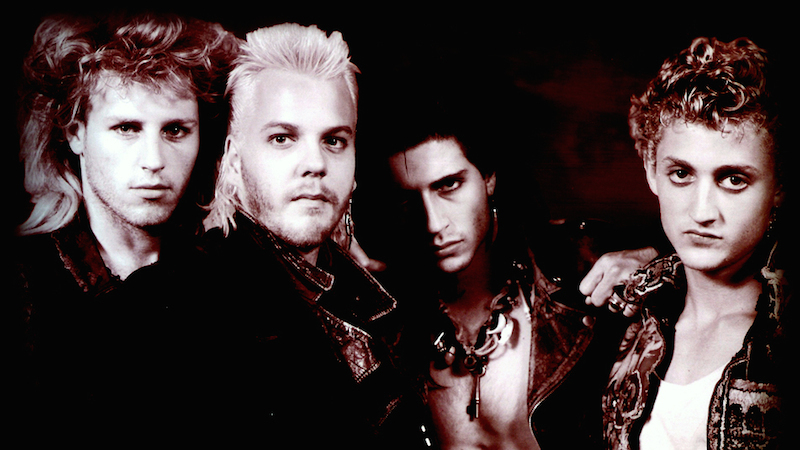 The Lost Boys are an inspiration to Halloween costumers everywhere. The author as a child; grimacing for unknown reasons. 1) If It’s a decade-themed party you are attending, dress as yourself from that decade. 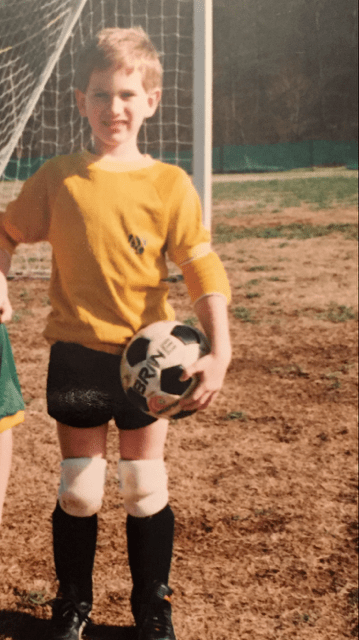 So for me going to an 80s party, I would dress in a soccer uniform and inexplicably wear both knee and elbow pads. I used every last paper towel in that place to get the nosebleed stopped. Blood was everywhere. *Shout out to all the Ramons out there lending their sporting equipment to friends only to have it returned with blood stains. 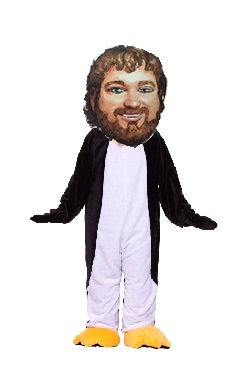 2) Don’t overlook the classic pumpkin costume. There’s a chance people will dump candy down the front of it all night, but that’s a good problem to have. *I have done this with limited success. 3) Lazy and have a beard? 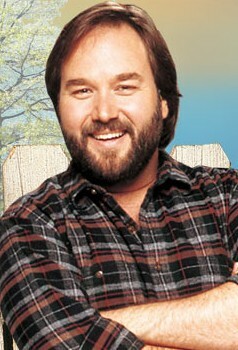 Just wear a plaid shirt and tell everyone you are Al Borland* from Home Improvement. As for your question regarding what you are eating for Halloween, the amount of candy you consume really depends on the day of the week on which Halloween falls. Any dingus with a calendar knows that Halloween is on October 31. Over the past 10 years parents are using the internet in order to change the date upon which Halloween is celebrated, such that kids can trick or treat on a weekend night (which is more convenient for the parents, not kids). This year Halloween falls on a Saturday meaning you will buy 3 bags of candy on Saturday morning after realizing that it is Halloween, then give 3 bags of candy away that day/night to strangers who come on your property and ask for treats. In years past you had to have bags of candy in the house for weeks on either side of Halloween night, not knowing which thread in /r/Parenting held the official “we are going trick or treating on __ evening” answer. Having bags of candy on-hand is a dangerous endeavor. Especially so if one has a slight allergy to artificially-flavored fruit candies wherein your face turns red and you begin sweating after eating just 3 starburst or a handful of skittles. You guessed it, I’m describing myself. Starburst now makes bags filled with only the red and pink ones. Go out and get a bunch of those. I would if I could trust myself not to go wild on em and pass out in the process. 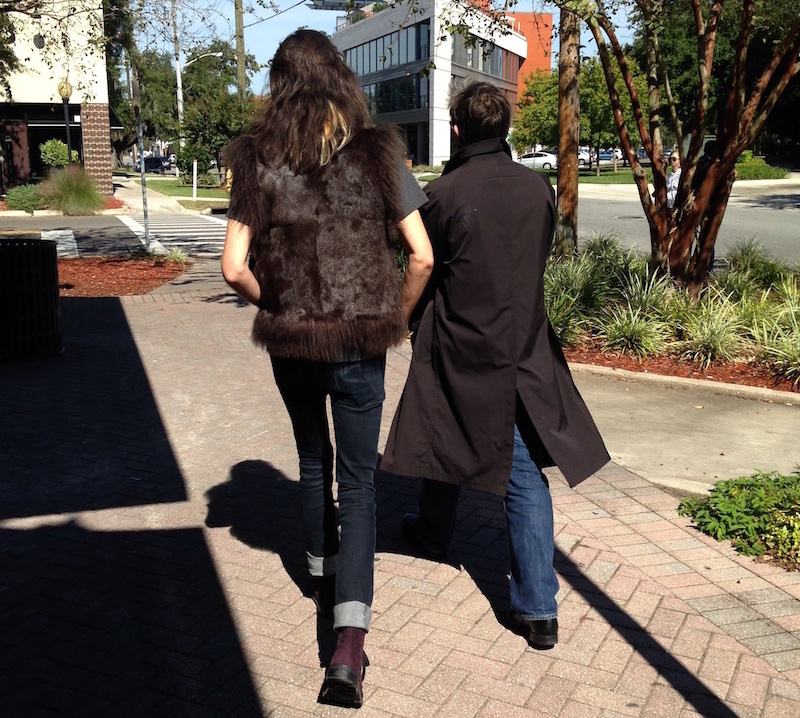 Attire that looks like it was ripped out of The Lost Boys is a good starting point. Mark is a former lawyer who lives in Nashville. If you see a guy who looks like this caricature walking a golden retriever in Germantown, feel free to say hi. You should know, however, that there is another guy who looks a lot like Mark who also walks a golden retriever in Germantown so you might be saying hi to the wrong dude. It has caused confusion in the past—including one particular incident where the other dude’s wife hollered down the street at Mark several times before getting a closer look and realizing her mistake. Anyway, say hi. You can also find him on the internet at basketofchips.com and instagram.com/cmharrod.